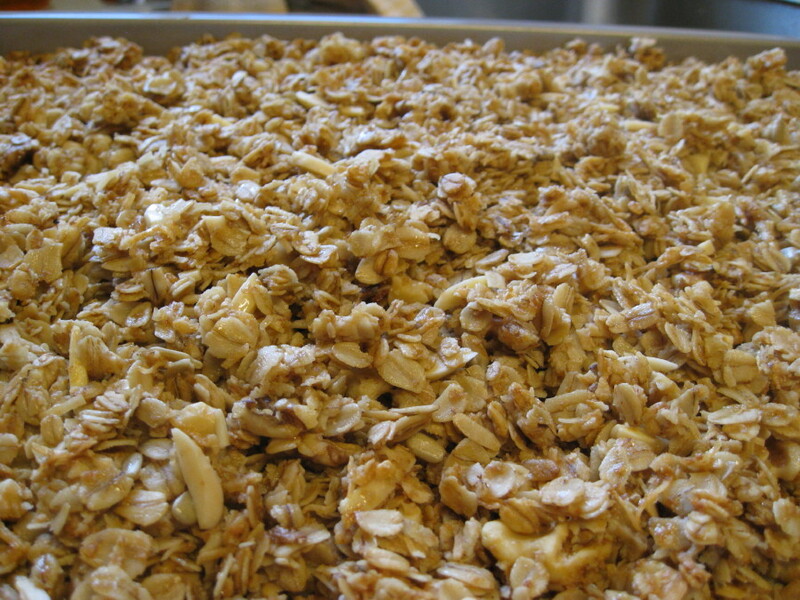 I have made this twice now and love having a granola cereal recipe to go with my granola bar recipe. It is so nice to make your own granola and not have all the added sugar. Listed below is how the recipe was given to me. I’ve included how I made it. Heat sweetener so it flows (about 30s in microwave). Mix all ingredients, except for fruit. Bake at 250-275 for 1.5-2 hours. (I found an hour at 250 worked for me). Remove from oven, let cool. Add fruit. I like the idea of bran and agave nectar – maybe I’ll add those to the mix. I’m also thinking of different fruits to add.